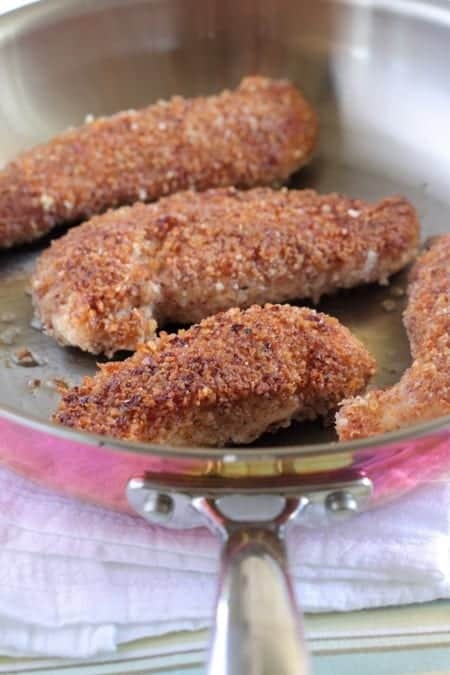 My Parmesan Pecan Chicken Tenders are a nice healthy lunch or dinner recipe to add to your menu! The entire family will love these flavorful homemade tenders. These chicken tenders are just what your dinner menu needs this week! Packed with flavorful Parmesan and ground pecans, they are flavorful and crisp! Be sure to check out my spicier chicken tender recipe too! My family goes nuts for homemade chicken tenders so I knew I wanted to make a healthy pecan coated version. 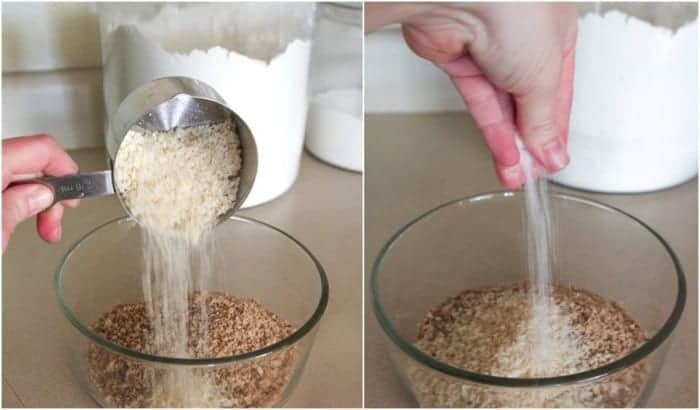 Place your Fisher Pecan Halves and parmesan cheese into a food processor. Pulse until finely ground. 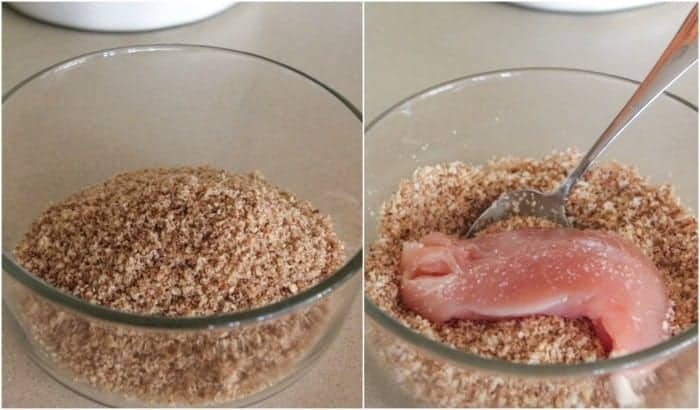 Place into a bowl and add your bread crumbs and seasonings. Press your chicken tenders into pecan mixture, coating each side generously. Place coated chicken tenders into an olive oil drizzle hot skillet. Let cook and brown on both sides until cooked through. Serve warm with your favorite dipping sauces. They also are great sliced up over salad and pasta. Enjoy! 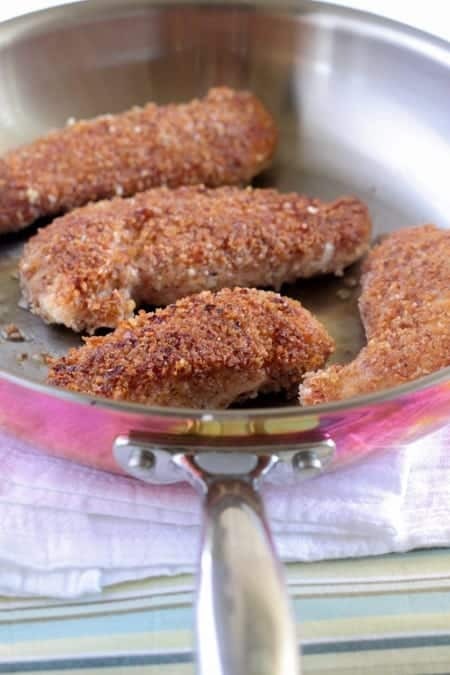 *Make sure your skillet is preheated nice and hot before adding coated chicken tenders. This helps with that nice crispy crust. *The last couple minutes of cooking tenders in skillet, turn them on their sides to get all sides golden. Takes just a minute on each side. *Serve with a variety of dipping sauces such as Ranch Dressing, a mix of Ranch Dressing and Sriracha and straight Sriracha. Lots of great options. You’ve got lots of options actually. My chicken tenders are great by themselves with some dipping sauces. You could also serve them with a nice salad and breadsticks. One more option for you is some homemade mashed potatoes. 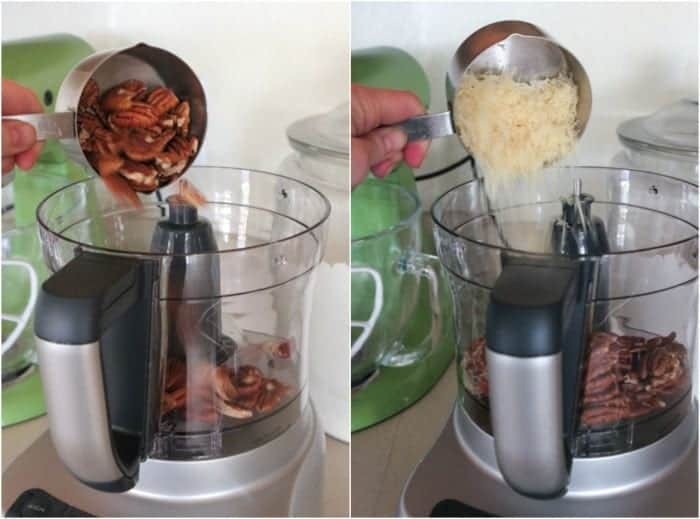 Place pecans and Parmesan into a food processor. Pulse until well combined. Place into a large shallow dish and stir in bread crumbs, salt, pepper and smoked paprika. Press chicken strips into pecan mixture, coating both sides. Place coated chicken strips into hot saute pan. Cook each side for about 3-5 minutes, until cooked through and browned. Remove strips from skillet and let cool on a baking rack or paper towel lined plate. Serve warm. It was such a pleasure partnering with Fisher Nuts to bring you this recipe. This post was in partnership with Fisher Nuts, Feb 2015, however thoughts and opinions are my own. I think I feel a song coming on here and it’s the Hallelujah Chorus. When my kids actually like dinner ~ they hum to themselves. It’s kind of flattering and they are gonna love these. And I really like Fisher Nuts. But I’m a bit of a nutcase so that would make sense. They usually have those dollar coupons off too. These look amazing and so simple to make! Love Fisher Nuts, can’t wait to try this one Jenny! 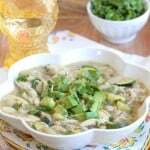 We are definitely a chicken family and they would go “nuts” for this dish. In alllll my years I have never made homemade chicken tenders! I love the combo of nuts and parm! See you soon….YEAH!!!! Nice and simple, quick, easy and tasty! 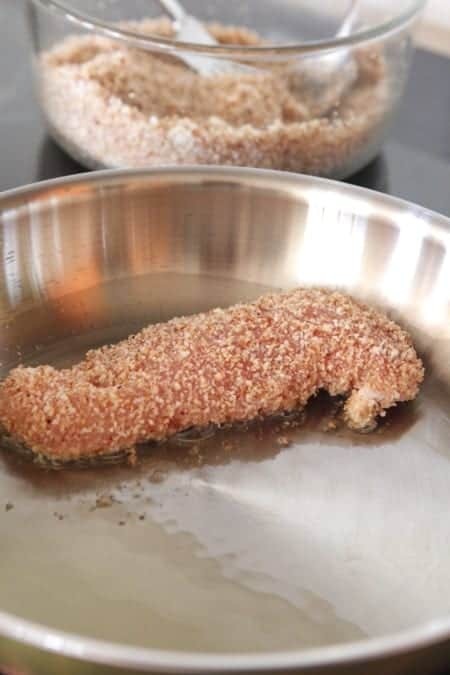 My family loves chicken tenders, and I know they’d gobble up this nut-crusted version. Great meal for a busy night! Yes! I love pecans, but feel like I often sort of forget about them, and default to walnuts for everything. I mean, they’re both amazing, but pecans just make any meal feel special. Love this recipe! Pinned! I just love that you used nuts on the crust! awesome Jenny! Yum! That crunchy crust looks amazing! Love the crust on these!! I want some for dinner! love this twist on chicken tenders – yum!! Love the addition of pecans. The crunchier the better! These look so scrumptious! I can’t turn down crispy chicken tenders! This pecan cheese crust looks fantastic! This is calling my name for lunch!!! My kids will love these cheesy chicken tenders! Yum! I bet the pecans bring such amazing flavor!! we eat chicken tenders about once a week, so I’m always looking for new recipes! and I always have Fisher pecans in the pantry because I eat them every morning on my oatmeal. 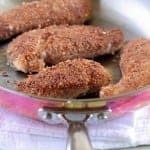 I bet the pecans make these chicken tenders so flavorful and crunchy! Can’t wait to try them. These look great! I bet they would be great with a honey dipping sauce too! I love the idea of pecans in the coating, and I’m a huge fan of smoked paprika. I can’t wait to try these – I know my son would love it! I am loving the pecan coating on these! such flavor! My kids would gobble these up. My boys would love this crunchy chicken! I love cooking with pecans and can’t wait to give this a try. Crunchy chicken tenders all the way! What a great idea to combine the nuts and cheese for a crunchy topping! I can’t wait to try this for our salads!!! Definitely a family-friendly meal! We’d gobble this up in a hurry for sure. Jenny, you had me at pecan crusted! These look fabulously yummy! Oooooo I just love this! Then put melted cheese on it. These chicken tenders look amazing! My boys will love these! That looks mouthwatering. I am bookmarking this. Going to try out for sure. So easy and sounds delish! Could probably work for a lighter breaded shrimp too, maybe. Yours looks great! I don’t know why it took me this long to find this site but I am happy I found it. 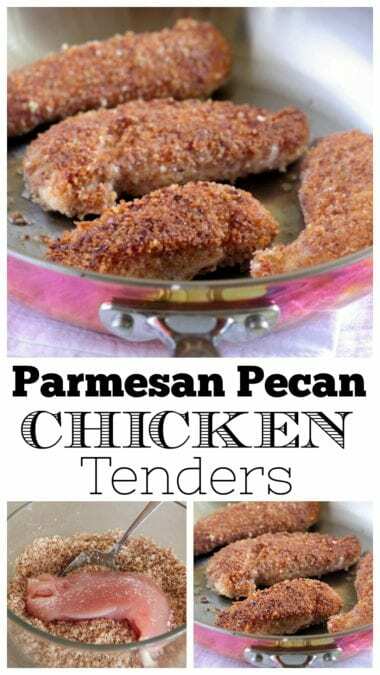 Parmesan Pecan Chicken Tenders…. Yum. I will try this later this week. Tried this for dinner tonight. Honestly, it was pretty bland. Didn’t taste like pecans or Parmesan. This looks yummy! At Disney I love Soarin and Dole Whip!